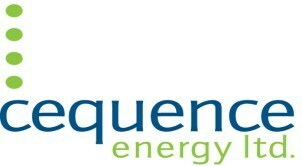 CALGARY, June 26, 2018 /CNW/ – Cequence Energy Ltd. (TSX: CQE) (“Cequence” or the “Company”) is pleased to provide an update on its recent operational activities. Cequence continues to see strong production from its Dunvegan oil play including the 3 gross (2 net) wells that came on production in April. For the month of May, the 3 gross wells averaged a combined 601 bbl per operating day per well with all three wells above the Company’s internal model of 300 bbls oil per day per well. Total corporate oil and liquids field estimates for the week ending June 24, 2018, was 2,300 bbl/d or 34% of the Company’s 6,850 boe/d for the same period. The strong liquids production during the period was achieved in spite of Cequence’s 50% well located at 11-14 being off production since late May for temporary operational issues. The 11-14 well is expected to be back online in July. The Company’s 100% well located at 15-4 has produced approximately 46,000 bbls of oil in 57 operating days and is currently flowing at approximately 1,200 bbl/d and 2 mmcf/d of natural gas. To achieve more consistent Dunvegan operating times in June, the Company has successfully begun to deliver a portion of the Dunvegan fluid volumes through its joint 50% infrastructure and facilities it has with KANATA Energy Group. This joint infrastructure will continue to be an integral part of the future development of the Company’s Dunvegan oil inventory. The Company has identified an additional 26.5 net Dunvegan drilling locations on its land. Certain statements included in this press release constitute forward-looking statements or forward-looking information under applicable securities legislation. Such forward-looking statements or information are provided for the purpose of providing information about management’s current expectations and plans relating to the future. Readers are cautioned that reliance on such information may not be appropriate for other purposes, such as making investment decisions. Forward-looking statements or information typically contain statements with words such as “anticipate”, “believe”, “expect”, “plan”, “intend”, “estimate”, “propose”, “project” or similar words suggesting future outcomes or statements regarding an outlook. Forward-looking statements or information in this press release may include, but are not limited to, statements relating to the growth prospects of the Dunvegan locations, the future development of Dunvegan oil inventory, the expected reactivation of the 11-4 well, and operational activities. Forward-looking statements or information are based on a number of factors and assumptions which have been used to develop such statements and information but which may prove to be incorrect. Although the Company believes that the expectations reflected in such forward-looking statements or information are reasonable, undue reliance should not be placed on forward-looking statements because the Company can give no assurance that such expectations will prove to be correct. In addition to other factors and assumptions which may be identified in this press release, assumptions have been made regarding, among other things: the impact of increasing competition; the timely receipt of any required regulatory approvals; the ability of the Company to obtain qualified staff, equipment and services in a timely and cost efficient manner; the ability of the operator of the projects which the Company has an interest in to operate the field in a safe, efficient and effective manner; the ability of the Company to obtain financing on acceptable terms; field production rates and decline rates; the ability to replace and expand oil and natural gas reserves through acquisition, development of exploration; the timing and costs of pipeline, storage and facility construction and expansion and the ability of the Company to secure adequate product transportation; future oil and natural gas prices; currency, exchange and interest rates; the regulatory framework regarding royalties, taxes and environmental matters; and the ability of the Company to successfully market its oil and natural gas products. Readers are cautioned that the foregoing list is not exhaustive of all factors and assumptions which have been used.